The mind of a child is a busy place. Children are swarmed on a daily basis with a cacophony of songs, characters, shapes, sounds, colors, letters and endless input. As parents, we’re right to constantly engage our blossoming little geniuses, but ushering them into some Zen downtime on a regular basis is just as important as teaching them their ABC’s. The “OmBaby” tiny tee from My Little Pakora says it all. Inspired by the parallels between her Indian heritage and green living, the founder of My Little Pakora developed this organic cotton clothing line for babies and toddlers with an emphasis on South Asian cultures and lifestyles. Perfect apparel for little yogis, the collection includes lounge pants and an array of T-shirts and onesies that will have your child sitting pretty and astutely in yoga class with apt phrases: LotusBaby, BuddhaBaby, MendhiBaby emblazoned across their hearts. Booda Brand has ‘Good Karma‘ woven into their clothing line. For every T-shirt you buy, Booda Brand gives one book to the organization, Room to Read, according to their “One for You, One for Humanity” philosophy. 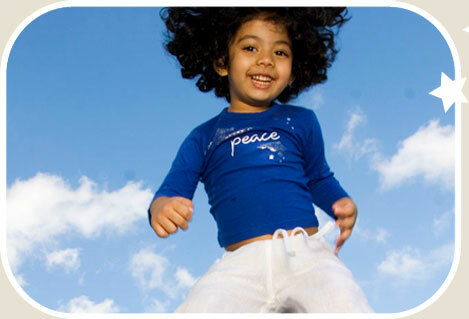 Your tiny guru can choose from vibrant organic cotton tees with the statement, “I Will Make a Difference” across the back and “Peace,” “Love,” “Imagine,” “Dream,” and other words of encouragement written across the front. Ruchika Sahai, Founder and Chief Inspiration Officer of Booda Brand offers, “Booda Brand comes from a parent’s sincere belief that it’s never too early to cultivate the will to make a difference in our children.” This line’s “conversation clothing” allows parents to engage their children in dialogue about making the world a better place. The organic cotton version of all Booda Brand apparel will be available in stores in mid-January 2009. Once they’re all dressed up in their enlightened gear, they’ll need somewhere to go. This is where Lotuspad provides a soft, safe landing for their tree and cat cow baby asanas. 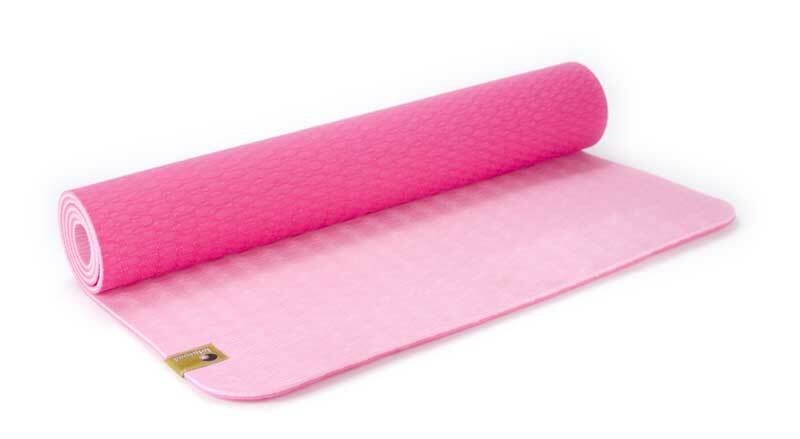 Unroll their Kids Lotus Yoga Mat for your little one and she’ll find her third eye in no time. These eco-friendly mats are free of PVC and toxins, and their closed cell construction helps resist germs. They’re also specially sized for children, making them manageable and user-friendly. The mind of a child is a busy place. Children are swarmed on a daily basis with a cacophony of songs, characters, shapes, sounds, colors, letters and endless input. As parents, we're right to constantly engage our blossoming little geniuses, but ushering them into some Zen downtime on a regular basis is just as important as teaching them their ABC's.